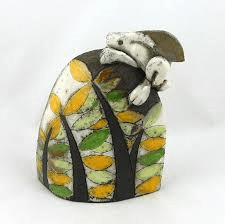 Rob throws and hand builds quirky designs, decorated with seaside and countryside images. 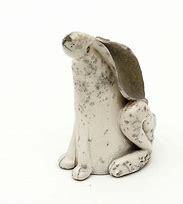 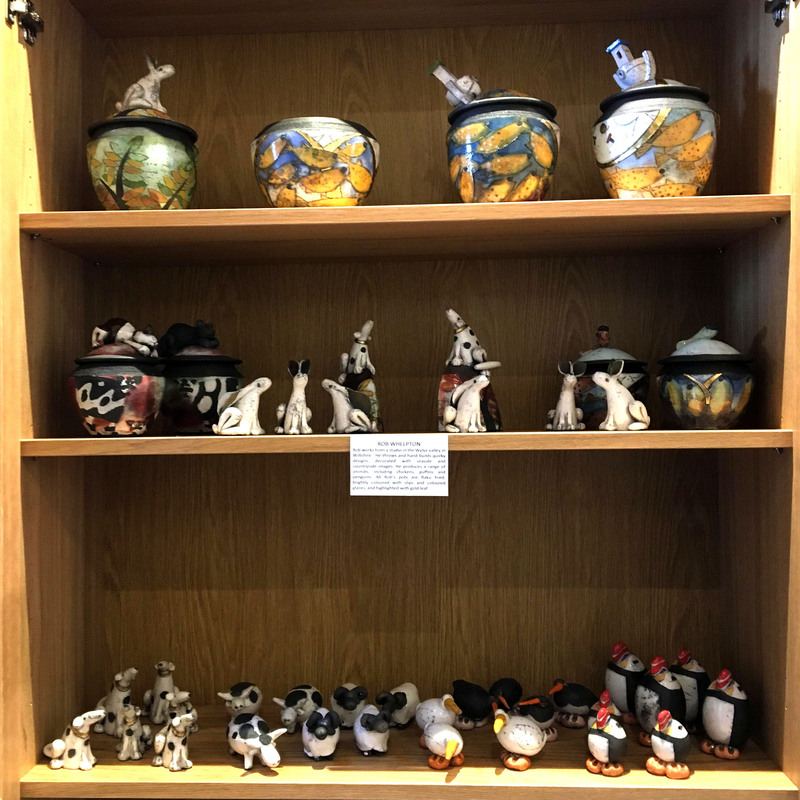 He also produces a range of animals, including shell chickens puffins and penguins. 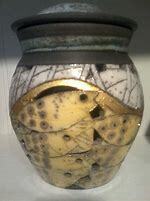 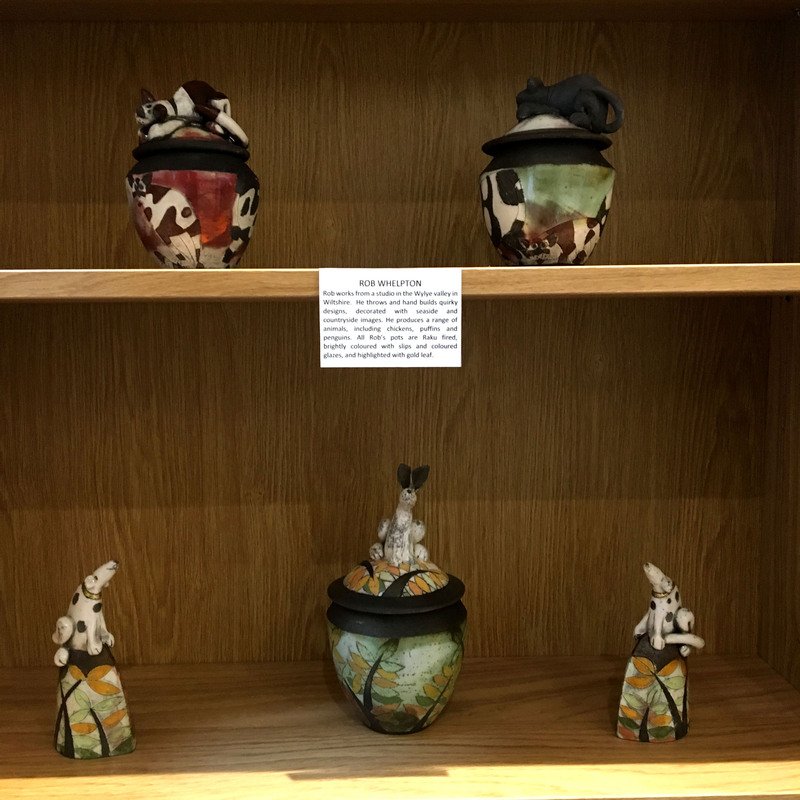 All of Rob’s pots are Raku fired, brightly coloured with slips and coloured glazes, and highlighted with gold leaf.